When I bought my 07 maxima one of the things that sold me on the car was the intelligent key fob. Its nice to not have to dig in my pocket to get my keys out. Just walk up push the button on the door handle and im in. After talking to alot of alarm installers and a couple nissan dealerships they all told me that if an aftermarket alarm was installed i would lose the convience of the intelliegent key on the door locks. Also asked if it was possiable to add shock and tilt sensors to the factory alarm and was told that it could not be done. 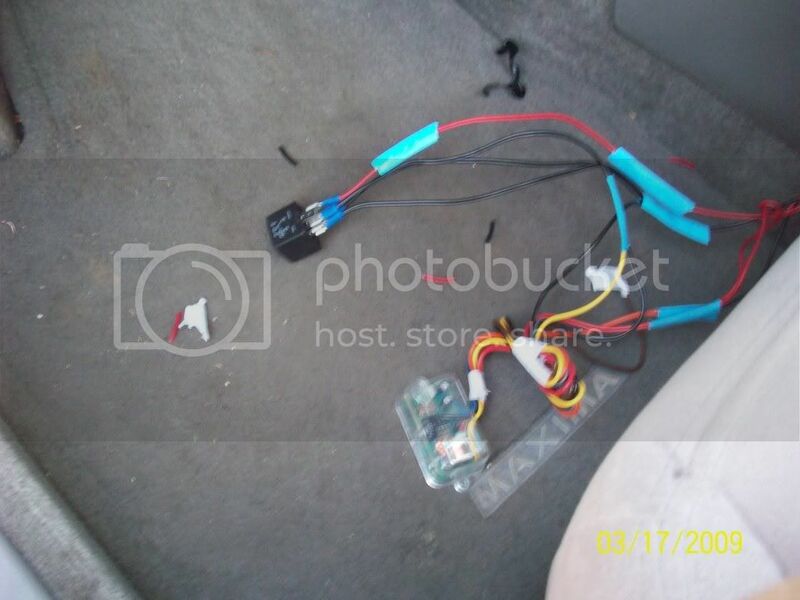 This led me to google and i saw in alot of bmw, scion, toyota, etc.. forums of people adding sensors onto existing factory alarm triggers in the doors, hood, trunk pins. So i ordered three things, a DEI 507M(tilt sensor), DEI 504D(shock sensor) and DEI 528T(timer). 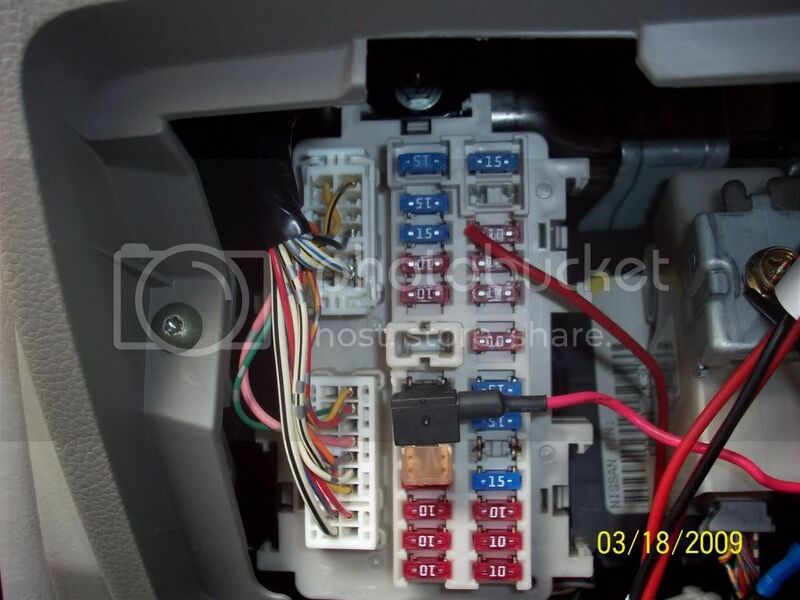 Other items purchased from a local automotive store were, simple on/off switch, standard automotive relay, wire, and materials required to splice the wires together. The relay is used to shut down the sensors when the key is turned on to avoid the info screen displaying that the trunk is open while driveing. The timer is used to temporaialy disable the sensors while exiting the car. 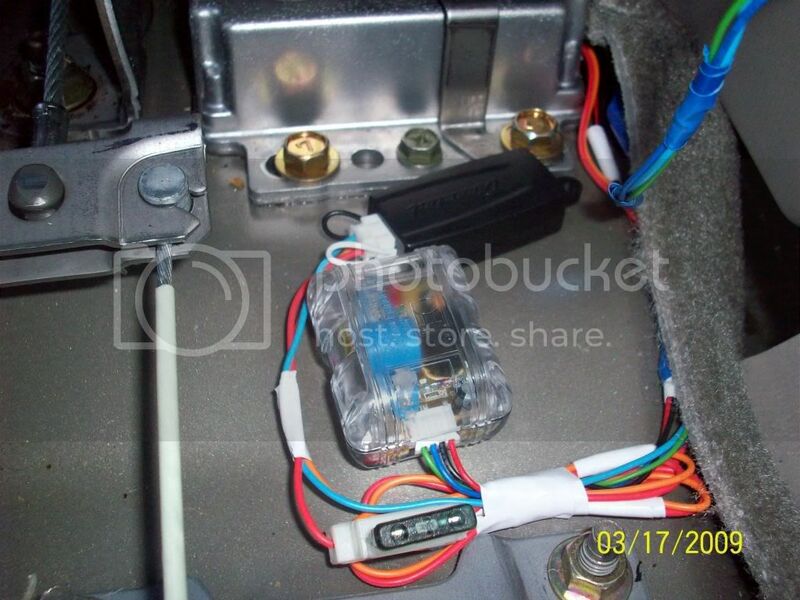 Without the timer you would not be able to immedialy lock the doors and put the factory alarm in "pre-arm" due to the shock sensor sending a gound pulse to the trunk switch. 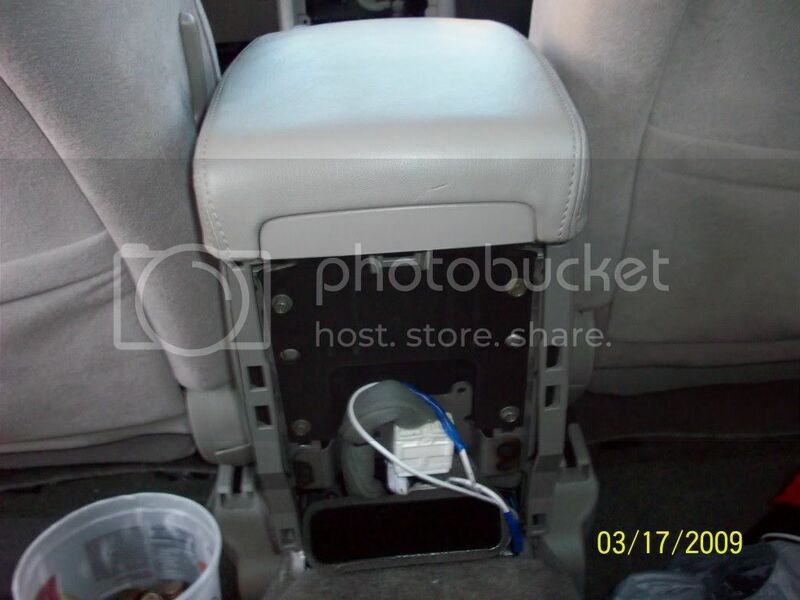 It would cancle the "pre-arm" because it would sense the trunk was open and the alarm would never fully arm. If you wanted to wait about 10 seconds after the last door was shut everytime then the timer woudlnt be required. Only four connections to the car are needed. 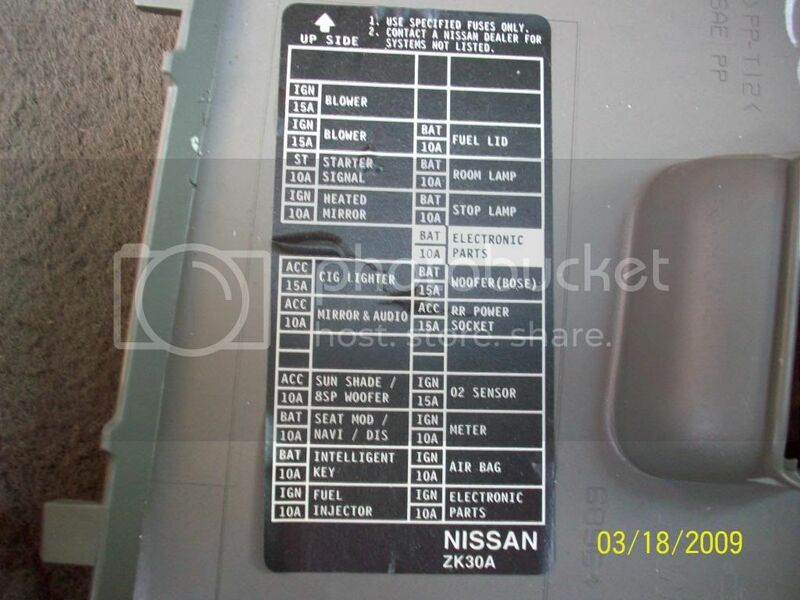 One for constant 12v, Accesory 12v, ground, and the trunk switch. 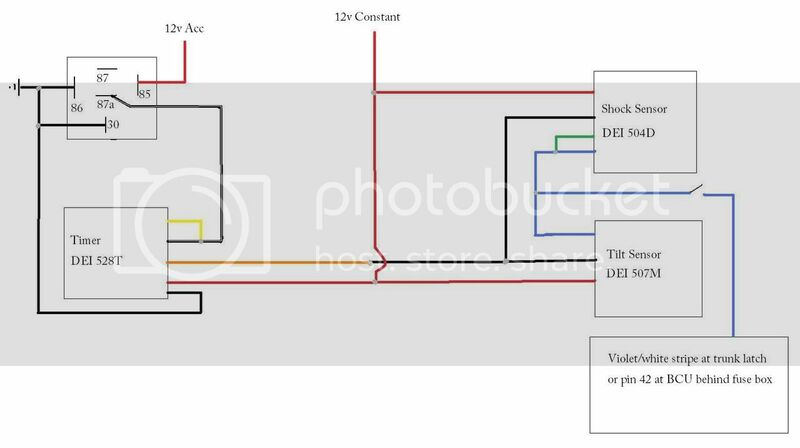 First thing i did was draw a schematic of all the connections. Next useing a multimeter i found connections in the fuse box for 12v constant and 12v acessory. I used the fuel lid for 12v constant and cig lighter for 12v accessory. Then found a good ground next to the fuse panle. After finding the power connections the negative side of the battery is disconnected. Next I decided where i wanted the sensors and timer/relay located. 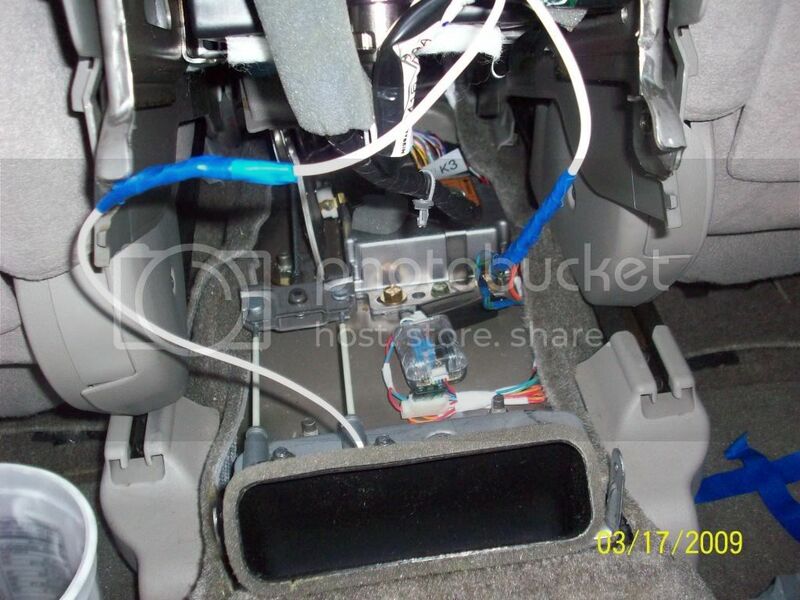 The sensors are located underneath the center console glued down useing crazy glue gel and the timer/relay are located behind climate controls. A simple push button switch was put inside center console storage space just in case it storms real bad and the wind/rain keep triggering the alarm. 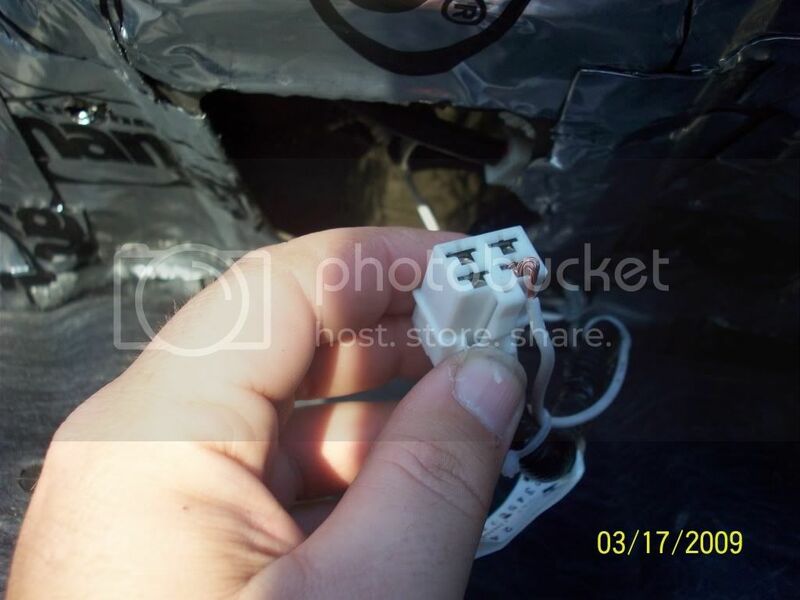 Makeing the connection from trunk switch can be made from one of two places. 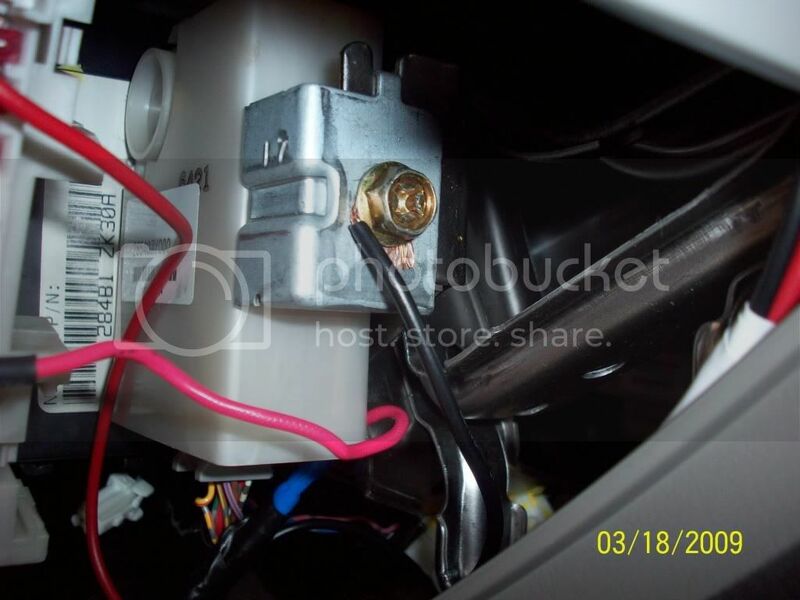 Either at the BCM(pin#42) behind the fuse box or right at the trunk latch. 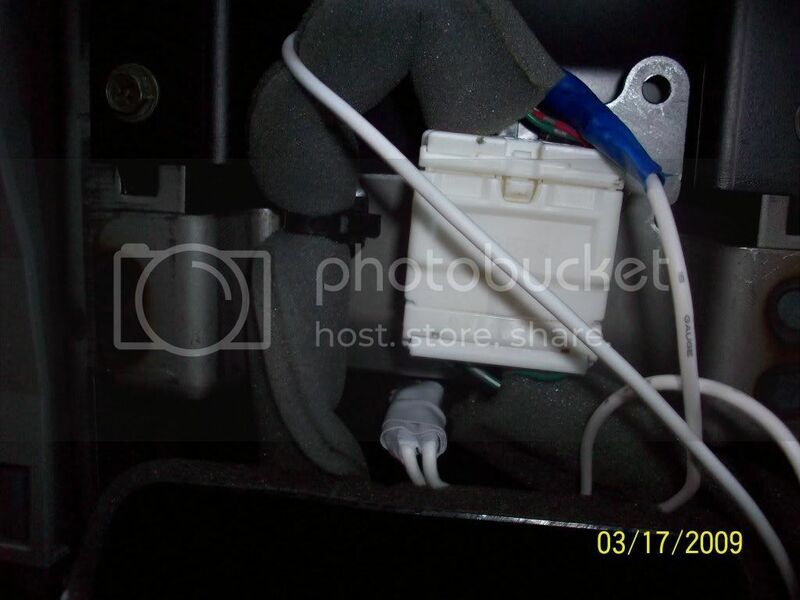 Its a very small wire and i didnt have a small enough splice block to pierce the insulation at the BCM so i routed a wire from the switch i installed in the arm rest storage to the trunk latch. The wire is violet with a white stripe. I striped back enough wire to to stick into the connector then plug the connector back in. 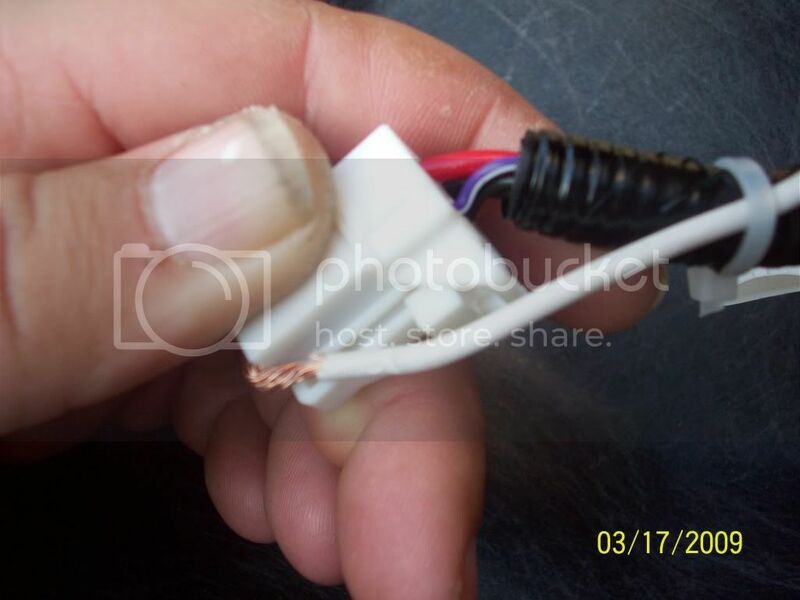 Make sure your wire will make contact inside the connector or nothing will work. 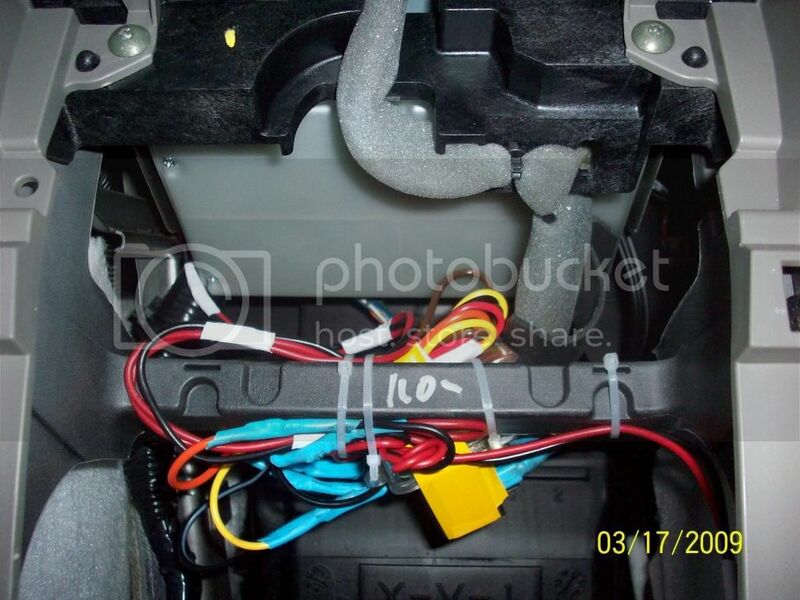 Routing the trigger wire from the switch in the armrest to the trunk is easy but going from the trunk to the trunk lid through the rubber hose and through the inside of the trunk lid is difficult. I pushed a stiff piece of wire inch by inch through the rubber hose. 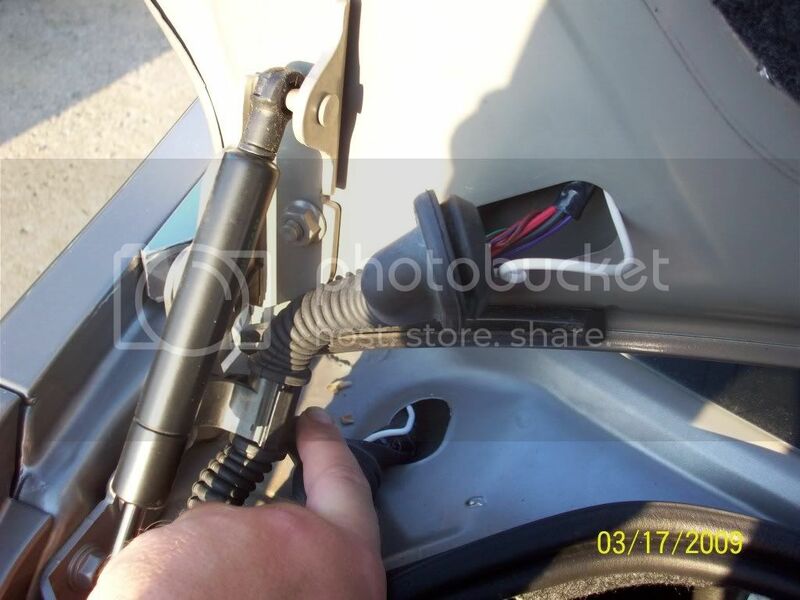 Put tape around the end of the wire so it doesnt poke through the hose as you push and carefully bend and guide it around the curve of the hose. Once through tape your wire comeing from the switch in the armrest to the wire you stuck through the rubber hose then carefully pull it back through. It will get stuck on the other wires several times. Just be patient. 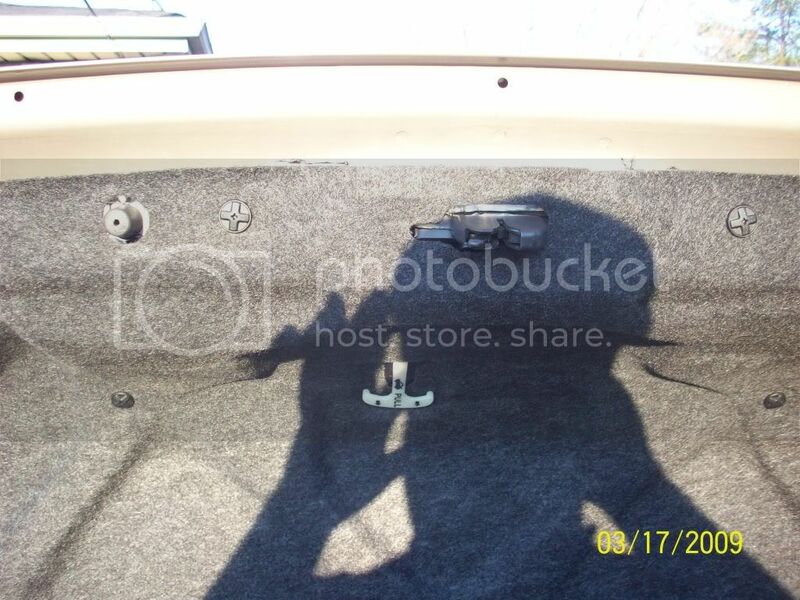 To get the trigger wire though the inside of the trunk lid it is even more difficult. I used a long piece of stiff wire and fished it from the latch to the rubber hose. It will take several attempts to get the wire though. 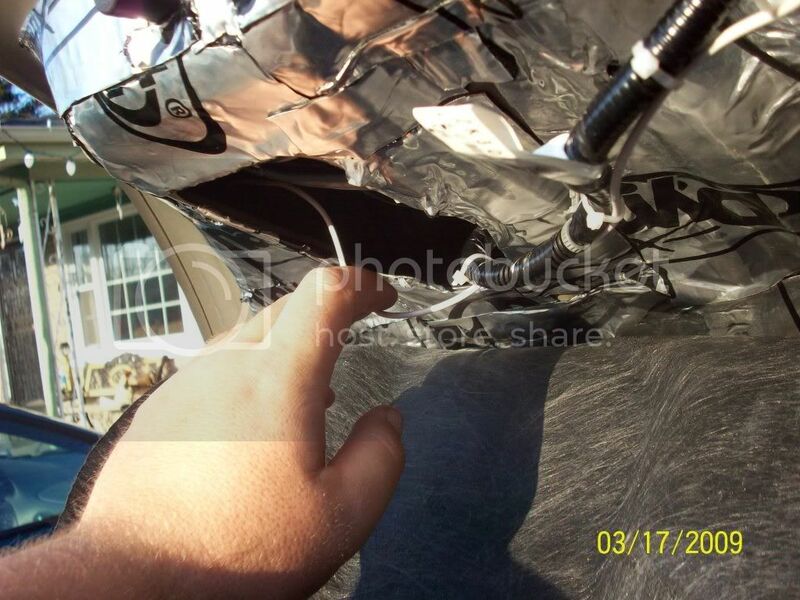 Once through just tape the trigger wire on and pull it right through. 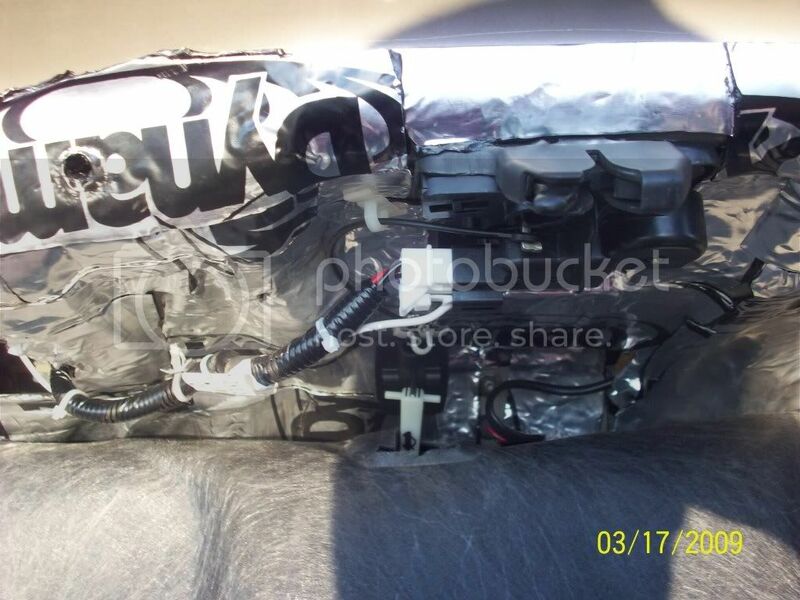 It may have been easier if dynamat wasnt installed previously not only on the trunk side but also between the inner and outer skin of the trunk lid. Not pictured are all the cuts and scratches on my right hand. 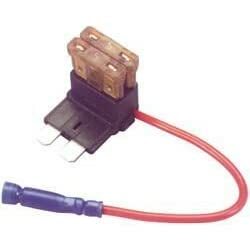 The relay used is just a generic 5 pin relay found at any automotive parts store. 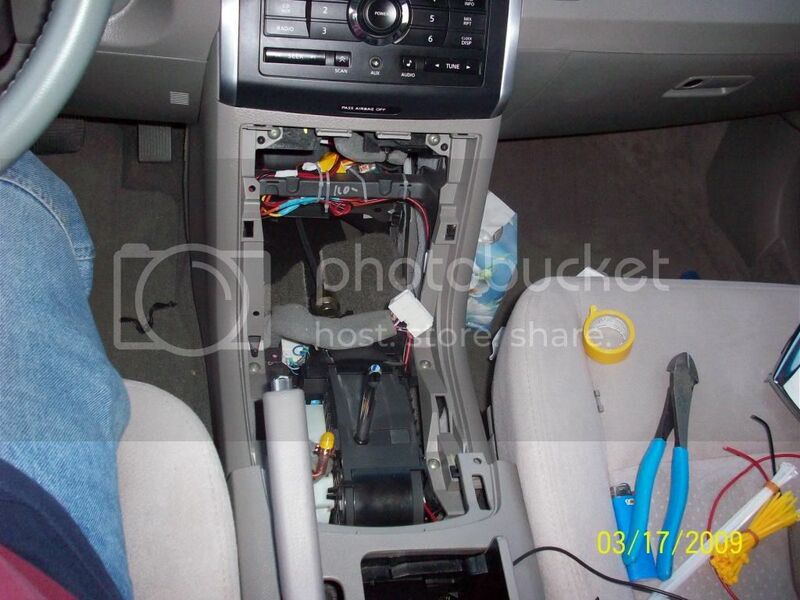 I pulled my dash apart to see if it had a brand or part number on it and it had nothing. To the best of my knowledge any 5 pin relay with a normally open and normally closed contact will work. I got mine from autozone. I just told the guy at the counter that i needed a 5 pin relay. On the bottom of the relay the pins are numbered. Make sure the one you get has and "87" and "87a". The letter after the "87" can be anything. On mine its "87q". I have zero problems. The intelikey works exactly as it did before. The trigger outputs are connected to the trunk pin(switch). A picture is worth a 1000 words. Cant make this any clearer. Be sure to turn the sensitivity all the way up on the shock sensor via the screw adjustment on the sensor. 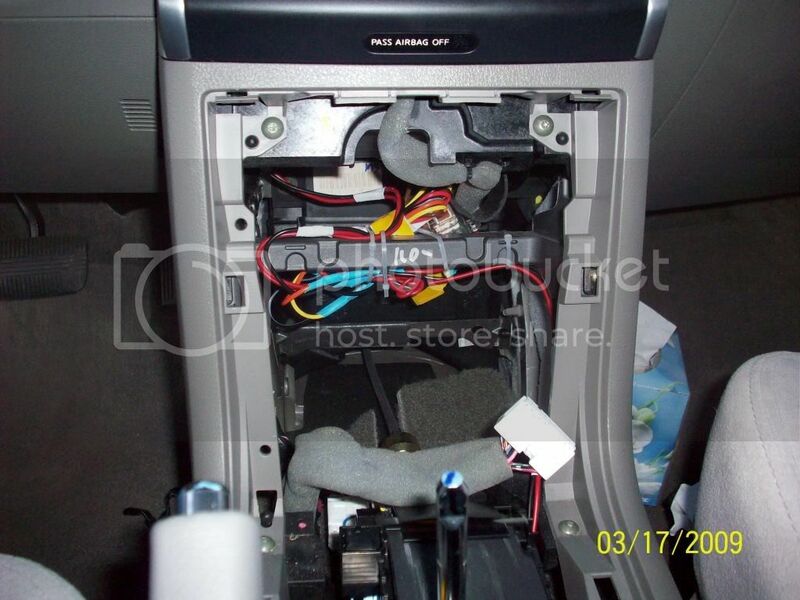 When i roughed the install in to test it and had everything just laying in the back floor board just a little peck on the window would activate the shock sensor. 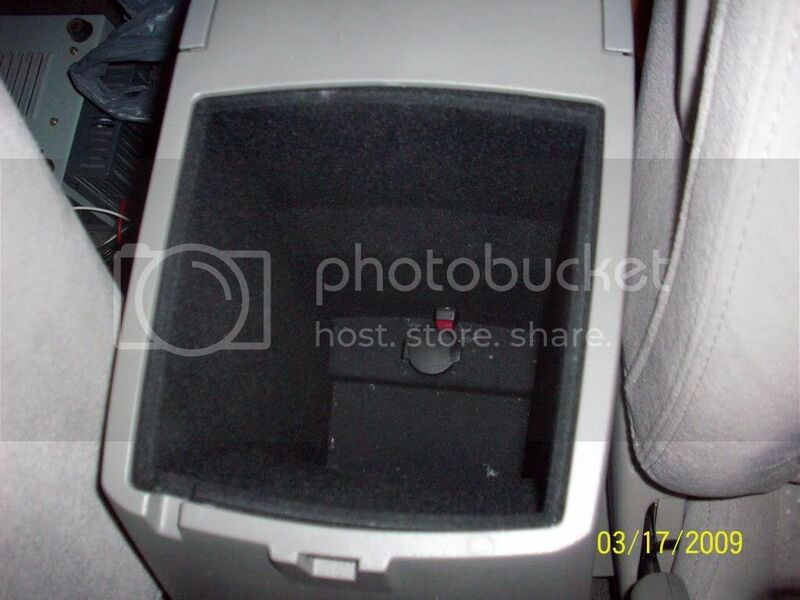 But after putting it under the center console i had to turn it all the way up and it takes a good thud on the window. The preset sensitivity of the tilt sensor is perfect, it triggers after the car has been jacked up a few inches at all four tires. We have had a couple of good thunderstorms with 50mph winds with no false alarms yet. Picked this up at autozone where the fuses are. It allows you to tap into one fuse socket and fuse two items separately. Im going to add another to the fuel lid connection soon so i can fuse it separately as well. Didn't feel like making another trip to autozone to pick up another at the time. Make sure its for the mini fuse and not the full size.